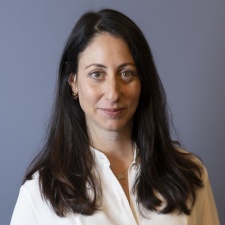 Global creator economy venture group Next 10 Ventures has named Facebook's ex-head of partnerships Lauren Schnipper as its new vice president. Schnipper was previously the Head of Creator Partnerships for Facebook, where she helped launch Facebook Live and worked with a variety of top-tier digital talent. She had also helped lead Facebook’s presence at Vidcon, where she originated the premium talent lounge concept that has now become a staple of the event. She had also worked with top talent, such as Shane Dawson, and helped to produce a wide variety of digital content that became immensely popular. “I’m thrilled to be joining Next 10 Ventures to get back to my entrepreneurial roots by being able to work directly with Creators on building their businesses and brands,” Schnipper said in a press release. Lauren is not the only new hire for the company. Peter Cho, former Senior Director of Finance for clothing company Reformation has also been brought onboard as Vice President of Finance. He has over 15 years experience and has worked together with major companies such as Walt Disney, ValueClick, and Maker Studios. “The opportunity to join a management team that has a clear passion for supporting and investing in the Creator economy is incredibly exciting to me,” said Cho.